You’ve got the game, now get the look! Here at CF, we’re all about taking inspiration from celebrities, film, television, and even art to create stylish, affordable looks. But there’s one thing we’ve never really covered in depth before – video game fashion! Whether you’re gaming on your PC, PlayStation, Xbox, DS or any other device, many video game characters have serious style. And we want to talk about it. As usual, we aren’t going the costume route – these will be wearable outfits inspired by our virtual faves. Also, don’t expect only top-sellers here: We’ll be breaking down styles from some of the most popular games out there and some hidden gems from the indie market. To kick off this series, I wanted to begin with 3 outfits inspired by Phoenix Wright: Ace Attorney, a visual novel adventure game developed by Capcom that’s been ported to many platforms like the Nintendo DS, Game Boy Advance, and even the iPhone and iPad. It’s one of my favorites so I hope you enjoy! 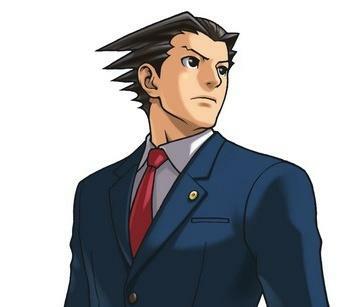 Phoenix Wright is our main protagonist and an up-and-coming defense attorney at the beginning of the game. Whether he’s out investigating crimes or shouting “Objection!” to ridiculous claims made by the prosecution, this is his go-to outfit: a dark blue suit, red tie, and white undershirt. But if you ask me, that’s a bit stiff, even for the courtroom. For a more fashion-friendly take on his look, I decided to keep the blue suit/white shirt combo, but lighten it up a bit by switching the color to cobalt. I then added a three-quarter-sleeve jacket and embroidered tank to keep it light. And we’re going to ditch the red tie for some colorful red flats, adding an extra pop of color. 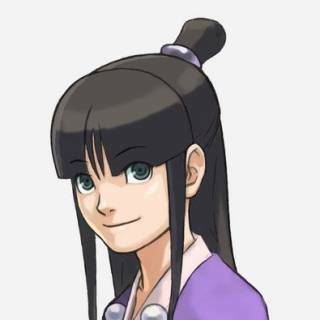 Maya Fey is both Phoenix Wright’s assistant and “close friend”. (Let’s be real: We all want them to get together.) She typically wears a traditional Japanese kimono, a necklace with several orbs that represent her spirit medium training, and some dark colored sandals. Below I’ve updated her look to create a more business-appropriate look for the courthouse or your internship. Start with a pale pink dress and long-sleeved purple cardigan for a polished yet sweet vibe. We’re keeping the pearls in the form of an on-trend choker. Finish channeling your inner spirit medium with a block heeled sandal. 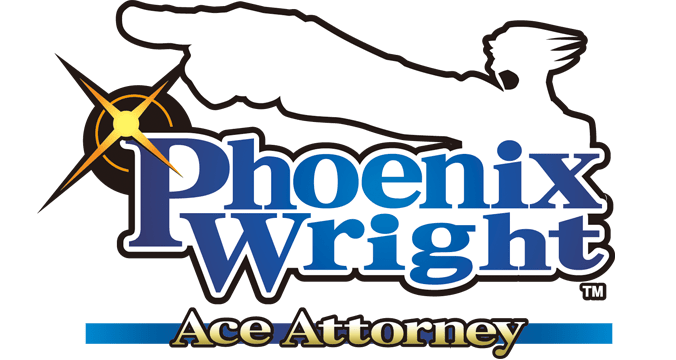 Miles Edgeworth is Phoenix’s childhood friend and courthouse rival. He’s the man we love to hate: Alongside his sense of self righteousness, he’s got impeccable charm. Miles’s outfit in the game is already very flashy with his white necktie and bold maroon suit. While I channeled him with a simple maroon dress and a basic black heel, the white jacket is a strong staple piece that’s sure to turn heads. Did you like the looks? Do you like Phoenix Wright? If you do, who’s your favorite character? What other video games would you like me to feature next? Leave a comment below and let me know!